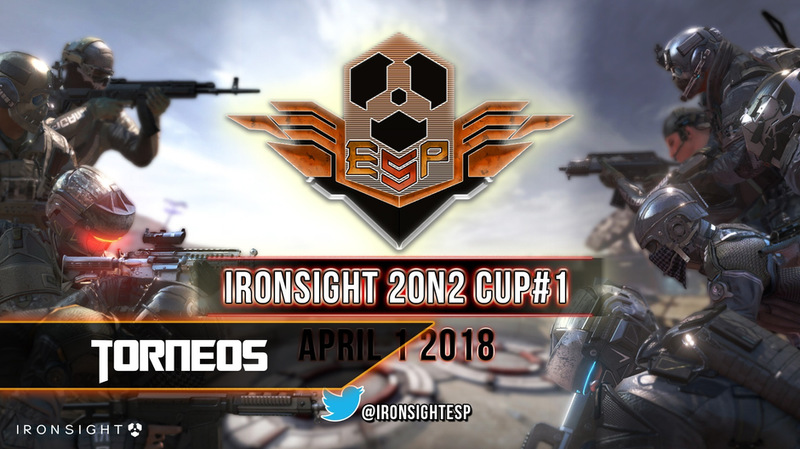 We just launched our first spanish event for all the spanish players of Ironsight. You all are wellcome. We also have plans for the international community with other events, tournaments. But first, we have to work i our web translation. I will tell you when all is ready. Greetings. I am going to open this thread because i asked some questions in the last official streaming and they suggested me to open a forum and see what the community think about it. Because if most of us agree in it, they will try to introduce these tools. First, it comes because I am a player, memeber of the ironsight community, who likes to build and create content around the community. Now i built the spanish community, but my porpouse goes even more far away. Because I would like to organize events for the spanish and international community, some of them for fun, but also another more serious, like tournaments. But for build it, the game needs some tools, some of them easy to build and others will need more time and maybe they will never arrive, for some reasons who devs will know. Anyway, i am going to introduce them to you and I hope every body take a moment to see if you agree or not. 1) The possibility of setting a pasword in the custom matches section. The game already has the option to create custom rooms where play with friends. Now you can use them for skirmish between two clans, but there is some little troubles which could be solved with the option of setting a pasword in the room. It is something easy and it will help a lot to the community to build tournaments, some practice matches between clans, or just funny events. As i said, now you can create one room and try to join fast, before an unkown player join it, because if someone join you will have to talk him about leaveing the room to be able to play your match. Another problem is if you want to play a special event where 1 player have to survive against 5 enemies which only use meele attack. You can't do it because everyone can join the match and how he doesn't know the rules, he will destroy your event. Every game who wants to build a competitive scene needs it. Because the e.sports are a show, and a show needs a way to arrives to their audience. I know the game is just starting. And we don't know what are your plans around it, because you are now building the ranked modes, individual and for clans, something good and very interesting. So i think you already have in mind some spectator mode tool for the future, but first you have to see where the game goes. Anyway, it could be also good to add for the custom room, the option to join them not as a player, as a spectator. Just for casting funny events or tournaments which are built out of the official ranked mode. There are much more things to build around these ideas. But to start, i think it is enought. At least, the pasword option should be already in the game. So, what do you think, community? Hi Deadpool Do you meet the owner of this facebook page? I am trying to contact with them. Because if it already exists, i prefer to build the community together and use this facebook associated with the community webpage. If you see in the website now there is the official facebook page, but i would like to add a spanish one. Hi everybody, I am G3oX and i am going to introduce my fan made spanish community. 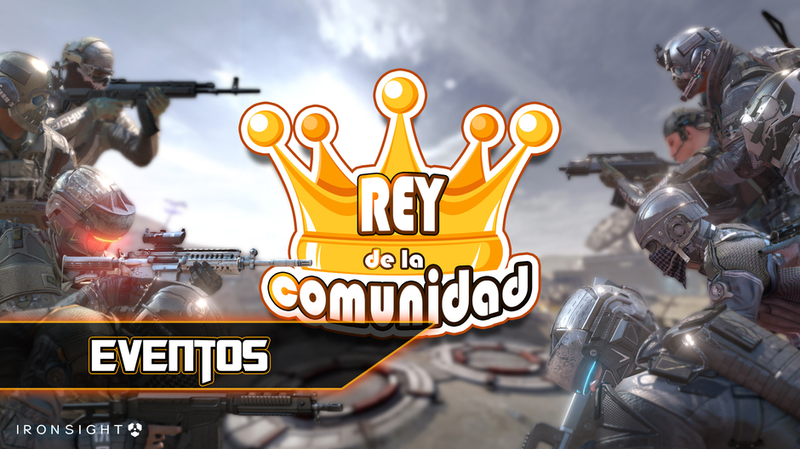 It is just a place where every spanish player can join to find spanish content, like news, a forum where find more players and make friends, clans and so on. And also, if everything goes correctly, we will organize tournaments with prizes and funny events just for have fun, and maybe also prizes. It is just the beginning, so we will see where it goes. If you are not spanish, we will translate it to help you to navegate there. Because we will also organize international tournaments for everybody. We won't close the doors to anyone.